In 1994 he completed his studies at the University of Gdańsk Faculty of Law. During his studies he specialized in administrative law. In the years 1993-1996 he was employed as a lawyer in the Legal Department of GE Capital Bank S.A. in Gdansk, at that time he also fulfilled the obligations of Vice Director of the Legal Department. In the years 1996-1998 he was a lawyer in the Tax Chamber in Gdansk in the indirect taxation division (responsibilities included VAT, excise tax and cash registers). In the years 1998-1999 he was a lawyer in the legal advisors and lawyers office in Gdynia. In 1999 he completed legal training at the Regional Chamber of Legal Advisors in Olsztyn, obtaining the title legal advisor. From 1996 until now he is a lecturer in private schools with banking, finance and cooperative profiles. From 2000 to present he is a partner in Nowakowski & Sławek Legal Advisors Office civil partnership in Gdynia. From 2010 he specializes in conducting matters related to airplane disasters, including the case of the CASA military aircraft disaster at Mirosławiec in the year 2008 and the Bryza aircraft in the year 2009. Due to the experience gained in the field of personal injury benefits, he currently conducts a number of cases related to obtaining benefits due to victims in various cases. In 1993 he completed his studies at the University of Gdańsk Faculty of Law, during which he specialized in particular civil and copyright law. In the years 1993-1994 he resided in Great Britain and was employed in L' Arche Lambeth Ltd. in London. In the years 1994-1995 he was a lawyer in the Ownership Supervision Department of the Commercial Sea Port Gdynia Holding S.A. In the years 1995-1997 as a graduate of the University of Gdańsk Department of Civil Law he conducted research in the field of copyright and civil law. In the years 1997-1999 as a lawyer, and then as a legal advisor, he was employed in the Legal Advisors Office in Sopot. In 1995 he completed the International Economic Arbitration course organized by the American Bar Association and Central and East European Law Initiative. In the years 1996-1998 he participated in a two year course on English and European law, organized by the University of Cambridge (Diploma in an Introduction to English Law and the Law of the European Union). In the years 1995-1998 he completed legal training at the Regional Chamber of Legal Advisors in Gdansk, obtaining the title legal advisor. From 2000 until now, together with his partner - legal advisor Sylwester Nowakowski, he manages the Nowakowski & Sławek Legal Advisors Office civil partnership in Gdynia. He speaks fluent English, including legal terminology (Certificate of Proficiency in English). His knowledge of French enables communication. Specialization: civil law and proceedings, including in particular: real estate law, copyright law, construction law, as well as: tourism law, consumer law, commercial law and labor law. He has experience in negotiating the terms of contracts (including international trade) and conducting judicial proceedings, also before the Supreme Court. From 2010 he specializes in conducting matters related to airplane disasters, including the case of the CASA military aircraft disaster at Mirosławiec in the year 2008 and the Bryza aircraft in the year 2009. Due to the experience gained in the field of personal injury benefits, he currently conducts a number of cases related to obtaining benefits due to victims in various accidents. ~by their fruits ye shall know them. 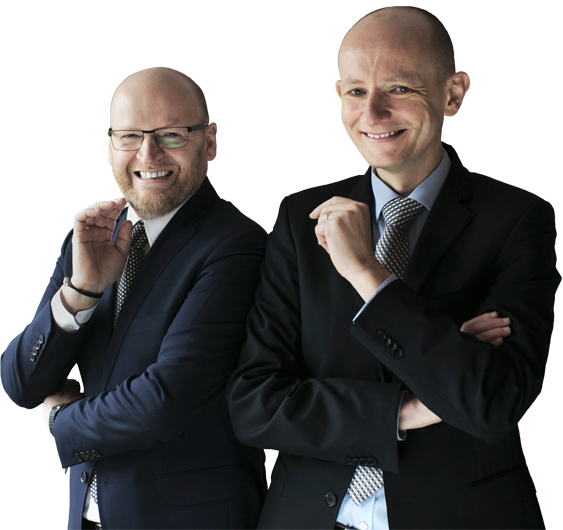 Our law office was founded on the April 1st 2000, when legal advisor Sylwester Nowakowski and legal advisor Piotr Sławek started the practice. The law office is developing its activity through extention of its range of services and through building the team of qualified lawyers, characterized by their individual approach towards every single client. We always follow the rule of integrity, honesty and professionalism . 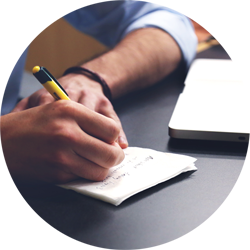 We quickly adapt ourselves to the requirements of our clients, listen to their voice, subsequently performing our tasks. We established qualified and well-educated team, we remain at your disposal 12 months a year and our disposal is not limited by any time frames and it is directed towards the needs of our clients. Jan Zbierski completed law studies at the University of Gdańsk in 2012 His master’s thesis concerned enthomology. The fields of his interest includes in particular the area of damages for victims of car accidents and their families. Moreover, he specializes in protection of personal rights. He is experienced in banking law and savings banking law. In 2016 he completed the apprenticeship at the Regional Chamber of Legal Advisors in Gdańsk, obtaining the title legal advisor in 2017 with distinction. He speaks English. Associated with the Law Office since 2015. In 2009 Łukasz Galant completed law studies at the University of Gdańsk. His master’s thesis concerned the area of penal proceedings under the direction of professor Sławomir Steinborn.. He completed the apprenticeship at the Regional Chamber of Legal Advisors in Gdansk, obtaining the title of legal advisor in 2014. Establishing foundations and non-governmental organizations (public benefit organization) is the area of his specialty. He speaks English. Associated with the Law Office since 2008. Aleksandra Kieszek completed law studies at the University of Gdańsk in 2012, graduading with her master’s thesis with the best rate. She completed the 3-year apprenticeship at the Regional Chamber of Legal Advisors in Gdansk in 2014-2016, obtaining the title of legal advisor. Associated with the Law Office since 2011, where she gained experience civil proceedings (labour law, contractual obligations, damages, payment of receivables, enforcement) and family law (alimony, guardianship) and also medical law (medical facility, medical error). The fields of her interest includes in particular the area of damages for victims of car accidents and medical errors and their families. Her deep passion is integration of young lawyers as part of Christian Lawyers Breakfast. She speaks English. Associated with the Law Office since 2011. In 2017 Sara Tomczuk completed law studies at the University of Gdańsk. She was an active student- she was a member of Student Research Group of Constitutional Law and also a member and secretary of Student Research Group of Administrative Law. Her master’s thesis concerned the area of classified information protection. Since 2018- she is the apprentice at the Regional Chamber of Legal Advisors in Gdansk. The fields of her interest includes in particular administrative law and procedure and civil law, with particular emphasis on consumer protection as well as insurance law. In the Law Office, her specialty is saving insurance procedure. She speaks English. Associated with the Law Office since 2017.